It’s time for my one hundred and twenty forth link party. That just makes my head spin. That is a lot of weeks! I could have had at least 3 kids by now. Yikes! Remodelando la Casa built her own mirror frame from a broken down playscape. Not only is it cool looking, but she recycled! Love it. Sow & Dipity made these HUGE (and I mean HUGE! Click through to see just how big they are) wreaths. They are so pretty. 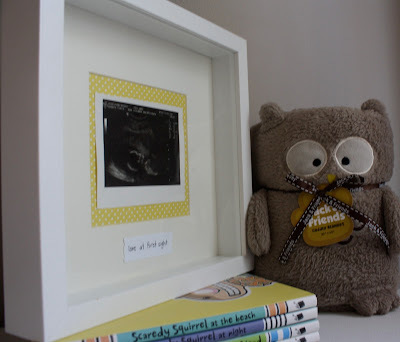 I love this sweet framed ultrasound picture from Urban Jane. Click through to give her some love on this adorable project. Soul Style painted her doors black and of course I am in love with it. This handmade wooden doll bed with handmade bedding from The House on Harrison is just so cute. Heck, I want this bed for myself! 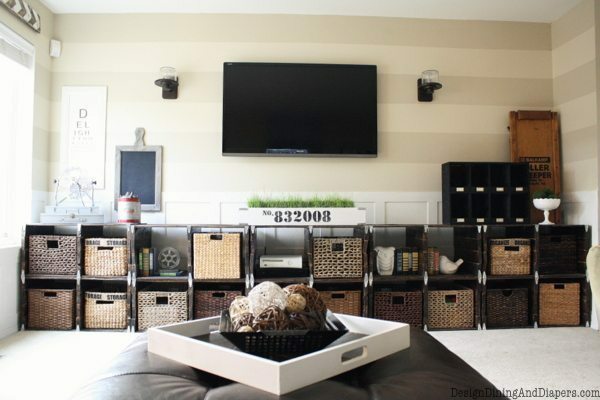 Oh my goodness, Design, Dining + Diapers posted a really amazing living room makeover. Talk about going from blah to awesomespice. The Happier Homemaker made some dipped votives. This look is so in right now. Lizy B continues to be one of my favorite cookie bloggers. These colorful Disney cookies are so fun. OPC’s The Better Half etched some wine glasses for a personalized and fun touch. Check out these pretty, rustic ornaments from Bullfrogs and Bulldogs. So simple, yet so pretty. 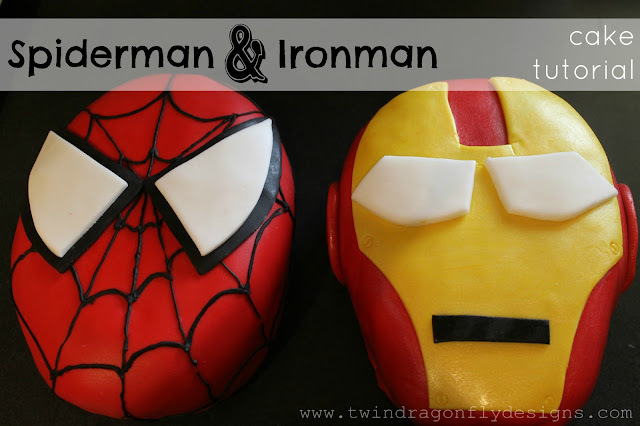 Twin Dragonfly Designs shows you how to easily make these action hero cakes. Aren’t they fun?! Three kids… ugh! Yes, 124 weeks is a long time, but to put it that way…. makes it seem like FOREVER! I hope you are having a great week! Thanks for the party, Allison! Yay! 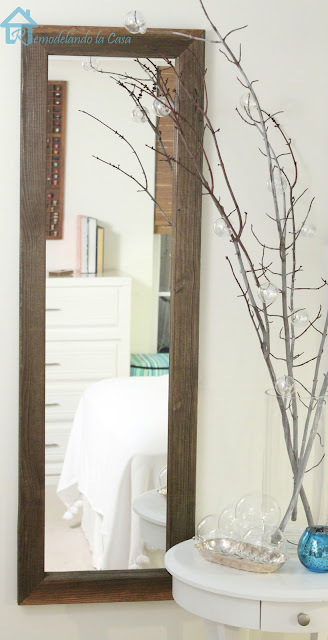 Thanks a lot for featuring my mirror, now my daughter has a piece of the playscape in her room! Thanks for hosting! Your party is so popular! I’m so happy to get here early! Thanks for hosting the party! I love your blog. 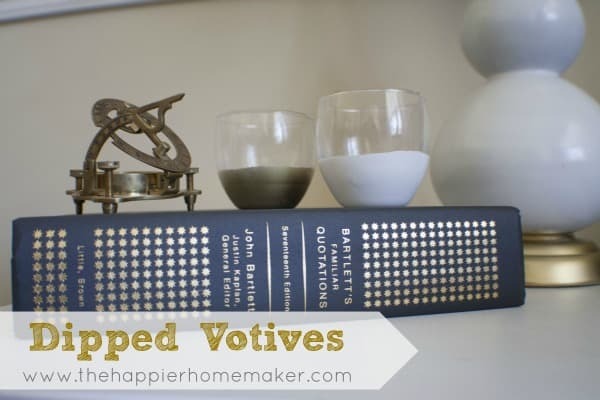 Thanks so much for featuring my dipped votive holders Allison-and for hosting each week! I hope you have a great week! Thank you so much for hosting! I hope you are having a great week so far. 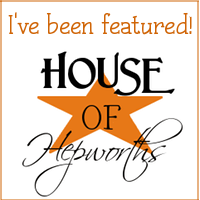 Thanks you so much for featuring my Black Interior doors, Alison!! xoT. Thanks for hosting. I love that mirror! That’s something I could do! Could you really imagine having 3 kids in 124 weeks?! YIKES! lol That would be crazy. 🙂 Thanks for hosting the link party this week. I hope you have a great Thursday! Thank you so much Allison for featuring my ornaments! I’m so excited! Hope you have a great weekend! Thanks so much for hosting. I always love your party. I’ll take your parties- 3 more kids would get me a reality tv show! Thanks for hosting another wonderful party Allison! Allison, Thanks for hosting such a great party! Great features! Thank you for the link-up! I’m a little late at #282/283, but I really enjoyed so many of the other links tonight!